Cyclobenzaprine also known as Flexeril is a medication used as a muscle relaxer and is prescribed to help a patient alleviate back pain and other painful musculoskeletal conditions. It helps ease muscle spasms. 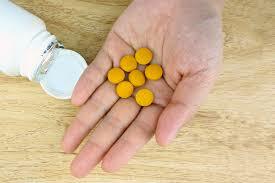 The medical drug falls in the group of medications referred to as tricylic antidepressants. Taking Cyclobenzaprine can bring about physical effects including relaxation of an individual’s muscles. When a person has muscular pain resulting from an injury, Cyclobenzaprine will work by controlling spasms, which cause the pain. It induces a relaxation effect which people may call Cyclobenzaprine high. Altering the dosage may cause a greater effect of being high. Cyclobenzaprine can induce the feeling of high when the drug is abused. The same high may be achieved if a patient is taking the drug for the first time. In case an individual takes more of the drug than has been prescribed, the Cyclobenzaprine high they get may bring about an altered state of their mind. How Cyclobenzaprine High Feels Like? Usually a user will have a sense of floating where they feel as though they are floating out of their body5. How Long Should You Take Cyclobenzaprine? The DEA has stated that Cyclobenzaprine works in a similar way to tricyclic antidepressants, which are often abused. It has been found that there is increased risk of abusing this drug because of the potential effect of high it brings. Another concern is that Cyclobenzaprine has widely been prescribed meaning many people have been taking it and this is something that increases the risk of abusing it. When a patient suffers injuries and they are in pain caused by muscle spasms, they may be prescribed Flexeril to help reduce the pain in the next 14 days. The effectiveness of the medication in relieving pain will peak within the first few days, however, after that, it shows no benefits, especially after two weeks. Patients need to discontinue taking the drug after the two weeks if there are no benefits because keeping them on the drug may cause other problems like abuse and dependency. Cyclobenzaprine comes in dosage of 5mg and 10mg. A brand name tablet of Cyclobenzaprine is Fexmid that comes in dosage tablets of 7.5mg while Amrix, an extended-release capsule comes in daily doses of 15mg to 30mg. While the drug makes an individual feel high, the feeling of being high isn’t as intense as you find with other prescription pain killers. That said, there is still the likelihood of having an altered state in your mind. Cyclobenzaprine abuse may result in a patient feeling relaxed and sedated. There is also the possibility that a patient will have a euphoric high. Cyclobenzaprine is not considered a narcotic, however, the drug can be dangerous if it is mixed with other drugs or if it’s abused. Cyclobenzaprine can dissolve in alcohol easily, it can be crushed and snorted too something that makes the feeling of high more intense. The drug isn’t widely abused, however, there is potential for it to be abused because of the feeling of high it brings. When used for recreational or illicit purposes, it’s given street names such as “mellow yellow” or “cyclone”. Recreational Cyclobenzaprine doses may be something like 20 to 80 mg while a prescription dose is somewhere between 5mg and 10mg at a time. The common effects when the drug is used for recreational purposes include feelings like drowsiness, relaxation, and floating. There is a pleasurable feeling which makes users want to experiment more with the drug especially the muscle relaxation and floating. While the DEA states that there isn’t much risk involved when you take Flexeril, this is only true if the drug is used for its intended purpose and in the right dosage and for the stipulated timeframe. The statement from the DEA is also based on the reason of approval of the drug by the FDA. That said, it is possible to have Cyclobenzaprine addiction, the drug is often mixed with other substances that tend to cause similar or adverse effects. Sometimes, patients may become allergic to Cyclobenzaprine, which causes the body to react to the drug very fast. If an individual has heart issues, overactive thyroid, or liver problems, they should not take Cyclobenzaprine whether for recreational use or treating pain. If you have such problems it is important you talk about it with your doctor before you begin a Flexeril dose. Monoamine oxidase inhibitors or MAOIs work by blocking the actions of enzymes called monoamine oxidase. These enzymes help with the breakdown of neurotransmitters such as norepinephrine, dopamine, and serotonin in an individual’s brain3. What are The Risks of Combining Cyclobenzaprine with Alcohol? Taking Cyclobenzaprine together with alcohol can lead to problems related to central nervous system. This happens because alcohol tends to step up the side effects of Cyclobenzaprine such as difficult thinking, dizziness, and drowsiness. People who combine Cyclobenzaprine with alcohol are likely to think improperly and may make bad choices. In fact, there have been reports of fatalities4 arising from the combination of alcohol and Cyclobenzaprine.